Vinicunca Peru map. Rainbow mountain Peru map (South America - Americas) to print. 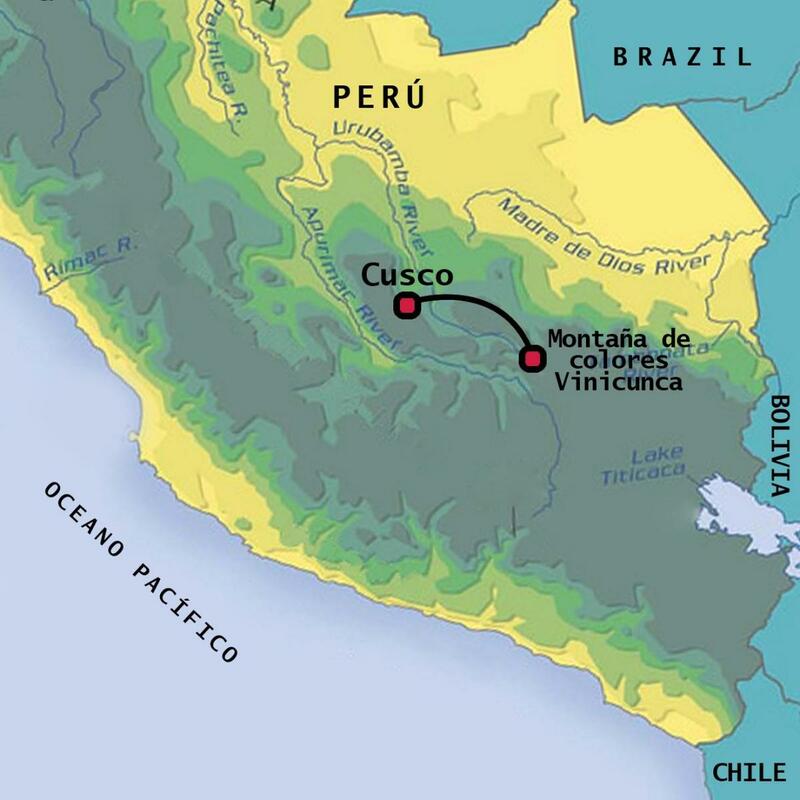 Rainbow mountain Peru map (South America - Americas) to download.